Don't Leave them home alone! All Puppy & Adult Camp prices listed above include transportation (based on availability) currently a few remaining spots for transport in Marlborough and Southborough. Wait list for Framingham. If you can provide transportation we will offer a reduced rate please ask! LIMITED RESERVATIONS AS THESE ARE SMALL GROUPS-RESERVE AHEAD OF TIME! 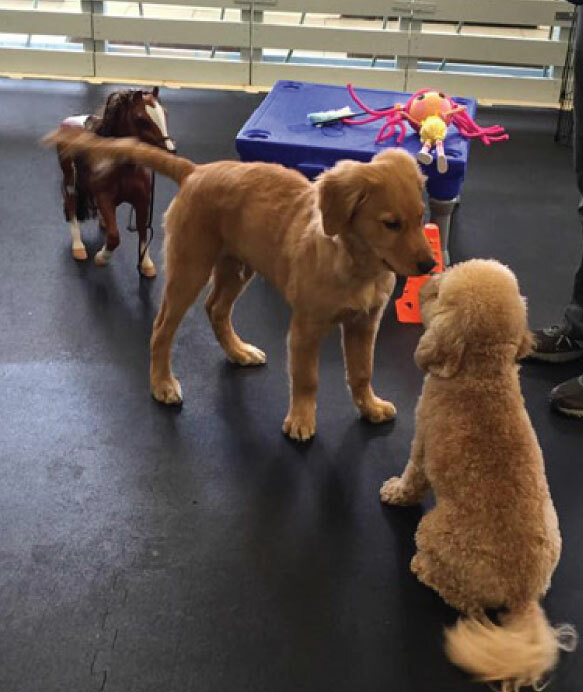 Appropriate balanced activities of supervised play, exercise, socialization, puppy rest, and learning. Meals and snacks as provided by you. Convenient pick and drop-off services Mon-Fri 7:30-9:45am pickup and 1:30-3:30 drop off (within 15 minute drive). Safe indoor climate controlled environment set-up just for puppy fun!